It can be so dangerous when a good episode comes after a great one, because it diminishes its quality, even if it is not bad. But since last week’s ‘Listen’ set such high standards, everyone was going go over it with a fine tooth comb, whatever adventure the Doctor and Clara went through this week. In my case, I decided to ignore that completely and watch ‘Time Heist’ without even thinking about how great ‘Listen’ was. After all, would some critics have considered last night’s episode better, had it been broadcast before ‘Listen’ and not afterwards? I don’t care. Even though all these stories have a connexion (Missy, the Promised Land, the shop lady…), I have chosen to regard them as individual adventures, and it is allowing me to fully enjoy them. 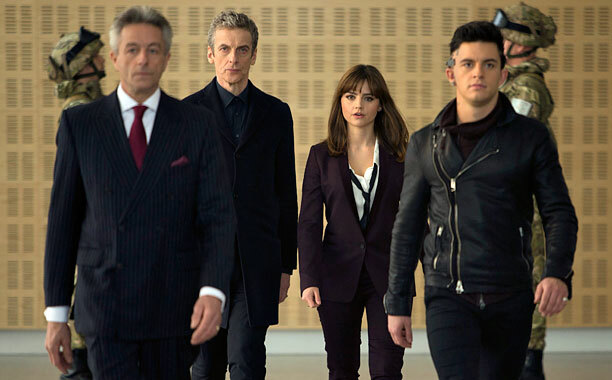 With an interesting premise from minute one (the Doctor answers the phone and they are suddenly somewhere else with their memories voluntarily erased), ‘Time Heist’ seemed like it was going to be an Ocean’s Eleven set in space, but thanks to its Moffat’s plot twist, it ended up being a story with a moral, a tale about friendship and about love: for your partner, for your family, for your friends. As partners in crime, we are introduced to Psi and Saibra, two devastatingly tragic characters: one cannot remember his loved ones, the other simply can’t have any. 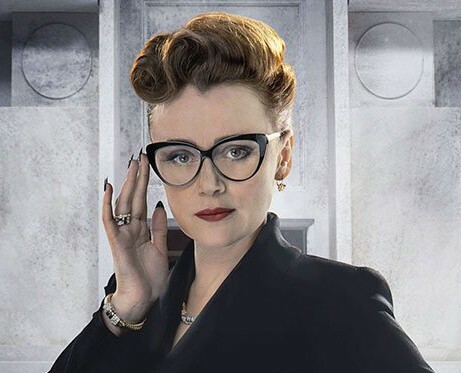 And as the “villain” of the week, the always fantastic Keeley Hawes, in a role that is not what it seems, with an superb boarding school principal look that made her appear much older than the 38-year-old woman she is. Overall, I quite liked the episode. Hell, I like the Ocean’s Eleven saga, and this had my favourite elements from it: the planning and execution of a bank robbery and some comical moments in between. A small glimpse at the Danny/Clara relationship and a loving conclusion do the rest. What’s not to like about ‘Time Heist’? Sure, it probably didn’t contain some important hints to future episodes like ‘Listen’ had, but this one was thoroughly entertaining and nobody is going to convince me otherwise! Next week is one of those “The Doctor does his John Smith persona to infiltrate in an ordinary life situation,” and I love those episodes! -Look at that! The Doctor had a Skyler White-styled breakdown! Hahahah I agree! !I hope there will be more mentions to his eyebrows in future episodes! !